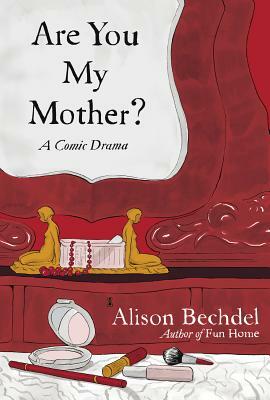 Literary Creation and Formation: A Review of Alison Bechdel’s Are You My Mother? Alison Bechdel’s second graphic memoir, Are You My Mother?, explores Bechdel’s early life and her conflict with her mother. 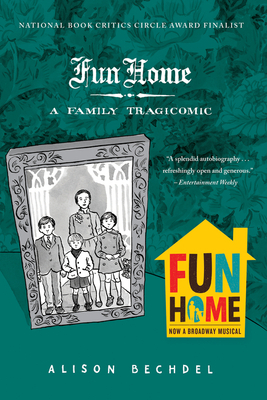 As with her previous book, Fun Home: A Family Tragicomic, and her comic strip Dykes to Watch Out For, Bechdel’s visual sense is astounding; she presents research about child development in a layered, subtle and dynamic way, and she masterfully explodes the question of whether writing is art or therapy, revealing the question’s inherent limitations. Bechdel’s work is art about therapy as one small slice of a life; it is literature that scrapes together the tatters of therapeutic sessions to make larger, more meaningful statements relevant to any person who was once a child, and, by extension, any woman who is now a mother. Bechdel begins the book on familiar ground, referencing her first book and the agonizing decision to write about her father, an exacting man who committed suicide not long after she came out to him -- and he to her. In Are You My Mother? Bechdel’s mother, Helen, comes into focus as a different, challenging and diffident collaborator in the creation of Bechdel’s new book as well as in the creation of Bechdel’s observing and writing self. Bechdel says at one point in a phone conversation with her mother, “I have to rewrite my book,” and her mother’s voice responds via the phone receiver, “You have too many strands!” offering a stunning comment on both the universal challenge facing memoirists and the specific practice shared by Bechdel and her mother of obsessively chronicling daily life in journals and diaries. Bechdel draws frames that isolate herself and her mother, zooming in on early memories of her mother and her work as an actress in regional theater and by extension, the way that her mother prompted Bechdel’s interest in representing reality and in interacting with the text of plays and books. One of the most familiar frames throughout the book depicts the narrator sitting up in bed at night with a camping flashlight strapped to her forehead, urgently hunched over a book, usually with the curled form of a lover in the bed asleep next to her. As with Fun Home, Bechdel’s second memoir also presents a kind of textual lineage, cataloging the author’s search for intellectual and emotional understanding of her upbringing and her emotional struggles through the list of books she needed to find her way. Bechdel imagines Virginia Woolf and child psychologist Donald Winnicott crossing paths in London, with a close-up map of their respective residences, to highlight the temporal and physical proximity of these two thinkers. The book is infused with a rich and constant layer of reading and writing images: highlighted text, fingers arched on the keyboard, handwritten journal pages, typewritten paper, newsprint, draft drawings, and quotes floating above sleeping lovers. The book writes itself before the reader’s eyes as Bechdel transcribes her mother’s comments during phone conversation and berates herself for not being able to write the book the reader is holding. Throughout the book, she brings beautiful liveliness to intellectual questions of subjectivity, and she writes of the boldness of putting down one’s thoughts: "To be a subject is an act of aggression. I put the odds on a psychic death match between Attila the Hun and Virginia Woolf at fifty-fifty.” Her awareness of her own creative process immediately also refers back to how a skilled nonfiction writer must, in effect, question and dissolve her memories in order to understand them. Instead of just writing about her life, or just incorporating research, Bechdel destroys the idea of her relationship with her mother in order to fashion her new writer self. She writes that her mother’s coldness and obsessive-compulsive behavior somehow provided her the tools to do that critical work of creation and inquiry. The book’s closing is not an easy conclusion, but it’s intellectually satisfying, especially to a female writer who knows that the act of creating is salvation not because you are creating new “objects” to populate your world, but because the process of destroying those objects leads to understanding. The mother in Bechdel’s book is not easy, yet she is not Mommy Dearest. The payoff for the reader is not to engage in an easy round of mommy-bashing, another significant cliché that Bechdel steers clear of. 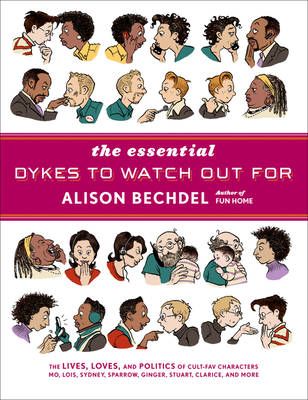 Helen is presented as complicated and open-ended -- and Bechdel asserts that she is worthy of focus for an entire book on the basis of her presence in Bechdel’s emotional and intellectual life. At the same time, Bechdel presents the coldness of her household; in one sequence her mother asks, “Do you love me?” and the question so shocks a preteen pajama-clad narrator that she’s speechless. The adult voiceover reflects, “My family never talked about love. I’m quite certain no one had ever said they loved me.” The true drama of the book is about mothering and simultaneously about intellectual and emotional creation and formation. Strictly speaking, then, Bechdel’s work is a Childhood Memoir rather than a Mothering Memoir, and yet Bechdel avoids the potential limitations of a Childhood Memoir, which can include a point of view that is necessarily limited by age, the limitations of memory, over-sentimentality, the refusal of parents to share information, the passage of time, the lack of documentation, and the ultimate death or disappearance of the parents. She has written a memoir of being parented, using a research-intensive process that highlights the mind of an essayist as well as a memoirist. Her cognitive processes themselves are under scrutiny as she researches and reflects, creating a meta-narrative that is both personal and that offers more questions than answers about the meaning of the mother-child relationship.